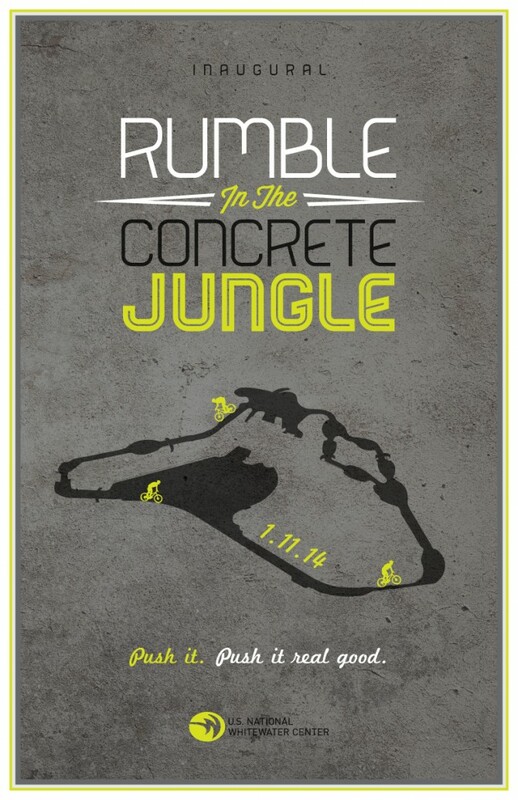 Here is the chance you've been waiting for ... Rumble in the Concrete Jungle is a unique event that will include several disciplines of bicycle racing, each taking place in and around the drained whitewater channels of the world's largest man-made whitewater river. All types of bikes are permitted. The Downhill Race will be a time trial from the top of the channel to the bottom. The course will be designed to maximize the full potential of the banked whitewater channels. Each participant will be given two timed runs; the best time will be used for scoring. The participant with the fastest time will be named the winner. Following the Downhill Race will be a Short-Track Mountain Bike Race. The course will be similar to the downhill course with added mileage to create a circuit which will be raced for 40-minutes. In this mass start race, riders will turn out as many laps as possible during the allotted time period, and all racers will finish on the leader’s last lap. Note: This is a non-traditional bike race and weather will dictate much of the course. The final course layout will be decided on race morning. We encourage participants to come early on race day to practice. Plan accordingly and be ready to adapt on race day.